LOUIS F. GILBERTI, age 81, Beloved husband of Felicia (nee O’Connor) for 55 years. Loving Father of Scott (Celerina) and Brendan; Grandfather of Annamae, Tiffany and Sheila; Dear Brother of Rosemarie (deceased), Angela, Joan and John (deceased). 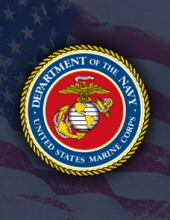 Proud U.S. Marine. Lou enjoyed running as a pastime. Passed away March 29, 2019. Funeral Mass, Wednesday, April 3 at 10:30 AM St. Raphael Church, 525 Dover Center Road, Bay Village. Interment St. Joseph Cemetery, Avon. FRIENDS MAY CALL THE McGORRAY-HANNA FUNERAL HOME OF WESTLAKE, 25620 CENTER RIDGE ROAD (WEST OF COLUMBIA) TUESDAY 4-8 PM. The family suggests memorial contributions to a charity of your choice. "Email Address" would like to share the life celebration of LOUIS F. GILBERTI. Click on the "link" to go to share a favorite memory or leave a condolence message for the family.